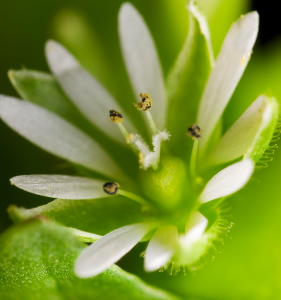 Chickweed tea is said to be just an old wives' remedy for weight loss, however those old wives may have been on to something we modern folks should pay attention to. Chickweed is known for its ability to calm inflammation and purify the blood, so only good can come out of adding this healthy green plant to your diet plan. Cooled chickweed tea has an anti-inflammatory action in rashes and and skin irritations, and can be used as a skin rinse for pets coats & skin.